Height is under 8 feet. Propane Stove - oven and three eyes. Jalousie Windows - all work. Tongue fits on 2” ball. Dinette seats six comfortably and makes into a King size bed. There is a loft that folds down and can be used as a bed with included removable cushion or as storage. 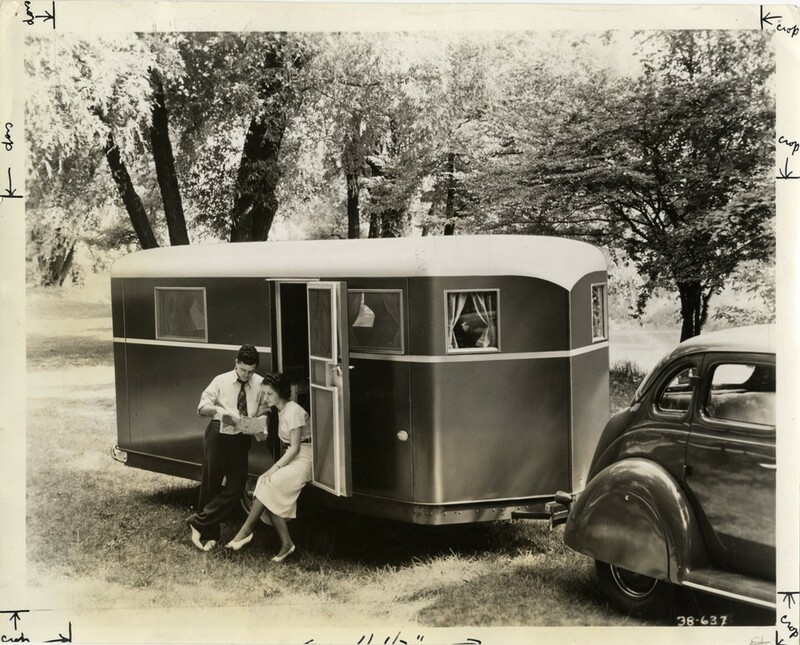 This vintage trailer is a beauty and is ready to camp! It is one of the rarest models that Aristocrat made. One of the best things is that it fits in a garage - so there’s no storage fees! Almost everything is original. The curtains and the dinette/bed cushions and covers are new. We went to a few vintage trailer rallies and were told that the original awning is very rare and increases the value of the trailer. This Ad has been viewed 1514 times.